Hundreds of people have signed a petition calling for Transport for London to review their decision not to award a major contract to Newton Aycliffe train builder Hitachi. Sedgefield MP Phil Wilson has led calls for London mayor Sadiq Khan to review the decision to snub the joint bit by Hitachi and Bombardier. The £1.5 billion contract was instead awarded to Siemans – but it was later revealed 94 of the trains will be built in Vienna, Austria, because the firm’s new factory in Goole won’t be fully operational until 2023. Wilson’s calls for a review have been backed by other North-East Labour MPs – including Anna Turley (Redcar) and Alex Cunningham (Stockon North) – as well as by the Conservative Tees Valley mayor Ben Houchen. And so far almost 1,500 people have signed a change.org petition backing the campaign. “I am deeply disappointed to hear that the Goole factory will be unable to fulfil the full contract when there is a fully operational train-building facility in my constituency which has the labour force, the expertise and the supply chain to deliver the order alongside Bombardier,” said Wilson in his letter to Khan. “As far as Siemens’ commitment to the UK is concerned. it seems to me that the company has pulled the wool over Transport for London’s eyes. “Siemens have committed to a new factory in Goole, which they cannot construct in time to deliver on their promise of manufacturing the Piccadilly Line fleet in the UK. “I am deeply concerned about how the contract could be awarded on this basis since it could undermine the existing train-manufacturing industry in the UK. A Hitachi spokesperson said: “Failings with London Underground’s procurement, which have been challenged in the court by three different manufacturers, mean that Londoners will be paying a higher price for an inferior tube train. A spokesperson for the Mayor of London said: “The Mayor was not involved in the Deep Tube procurement process, and TfL officials had to follow a stringent set of criteria around deliverability, technical expertise and value for money. 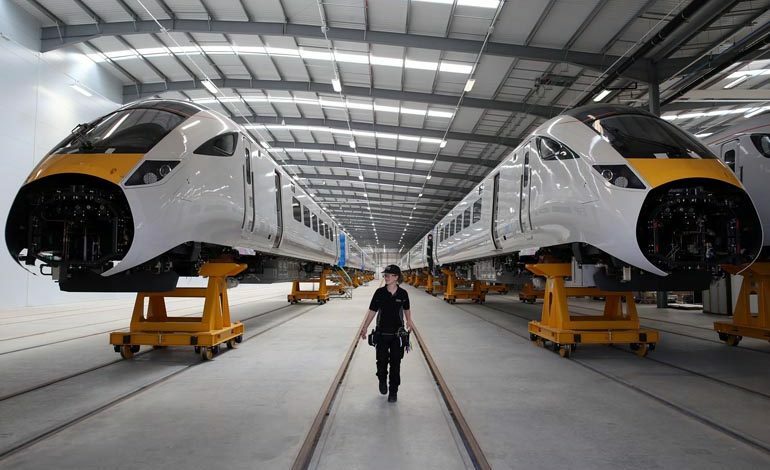 Hitachi, which opened its flagship factory on Aycliffe Business Park in 2015, remains in the running for a multi-million pound contract to build trains for the Tyne and Wear Metro, as well as a joint £2.75bn bid with Bombardier to make trains for HS2.